Even so, this is the damn World Series. Cover the base! Well, it's not a terrible counterargument. A bit moot at this point, however. Wow Rajai stole that on the pitcher. Four straight FBs away from Kipnis. How much do you think what we've seen from Contreras behind the place affected the decision to steal there? Strike one in this PA was not an exercise in pitch-framing. Worked anyway, though. Would love to see Chapman hit in the 9th. Or trying to, at least. Chapman's at 31 pitches, looks like. Beginning the 9th wouldn't be crazy at this point. 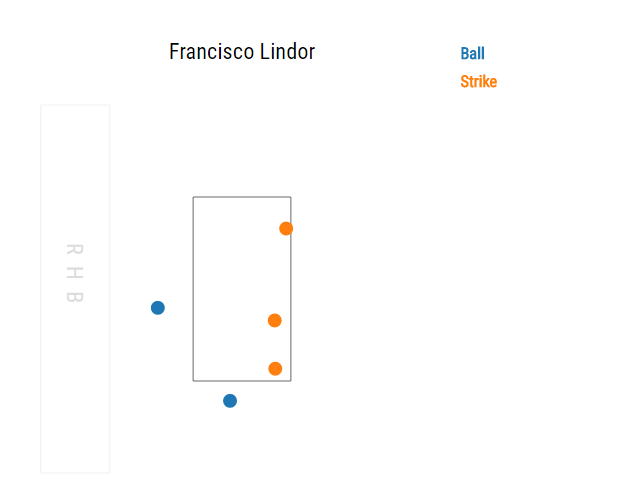 It would be fun if they stopped the game periodically and said, "This next one pitch will be an exercise in pitch-framing and nothing else." So, probably multiple innings for Allen at this point. i didn't know Heyward could hit a ball that far. Just saw the Heyward foul... which left the entire park. Heyward had a lot of good swings that AB. A note about Heyward: his problem (typically) hasn't been making hard contact, it's been elevating it. This year, he seemed to address the latter concern, but mostly just effed with the former. So Chapman gets to hit....pumped. He had 107 mph exit velo on his last batted ball. Would baseball be better or worse if to retire a baserunner you could just throw the ball at them? Might be a tough sell at the youth level. And then... go to Rondon?